James Honeyborne is an Executive Producer at BBC Natural History Unit (NHU). James has overseen some 35 films, working with multiple co-producers around the world. His recent projects include the Emmy-nominated series Wild New Zealand, with National Geographic, and the BAFTA-winning BBC One series Big Blue Live, with PBS. James conceived Blue Planet II in 2013 and has spent the last four years working with a talented team of film makers, in pursuit of new and extraordinary stories from beneath the waves. James graduated as a Biologist in the early 90s and since then has mostly worked at the BBC’s world-renowned Natural History Unit. He first learned to scuba dive some 20 years ago, when producing David Attenborough’s Wildlife On One. Then he was lucky enough to meet World Champion freediver, Tanya Streeter and a succession of freediving films followed. Then, after a break from the waves — directing a feature film in the Kalahari Desert — he became the Series Producer of the hit BBC1 series, Africa. Beyond television, James directed Meerkats the Movie which was narrated by Paul Newman. He recently made a short film, narrated by Sir David Attenborough, which premiered at the opening of the United Nations Ocean Conference. He also oversees various digital productions on ocean-related content and can be followed on Twitter @OceanHQ. James Honeyborne is an Executive Producer at BBC Natural History Unit (NHU). James has overseen some 35 films, working with multiple co-producers around the world. 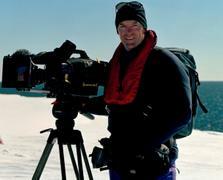 His recent projects include the Emmy-nominated series Wild New Zealand, with National Geographic, and the BAFTA-winning BBC One series Big Blue Live, with PBS. James conceived Blue Planet II in 2013 and has spent the last four years working with a talented team of film makers, in pursuit of new and extraordinary stories from beneath the waves. James graduated as a Biologist in the early 90s and since then has mostly worked at the BBC’s world-renowned Natural History Unit. He first learned to scuba dive some 20 years ago, when producing David Attenborough’s Wildlife On One. Then he was lucky enough to meet World Champion freediver, Tanya Streeter and a succession of freediving films followed. Then, after a break from the waves — directing a feature film in the Kalahari Desert — he became the Series Producer of the hit BBC1 series, Africa. Beyond television, James directed Meerkats the Movie which was narrated by Paul Newman. He recently made a short film, narrated by Sir David Attenborough, which premiered at the opening of the United Nations Ocean Conference. He also oversees various digital productions on ocean-related content and can be followed on Twitter @OceanHQ. Peter Young is a director, cameraman and producer. Peter recently completed and released the feature documentary The Art of Recovery (2015), and before that The Last Ocean (2012). The Last Ocean spanned seven years and developed into a successful international campaign promoting the protection of the Ross Sea in Antarctica culminating in November 2016 when 24 nations and the European Union created the world's largest marine protected area in the Ross Sea. In 2012 Peter was named New Zealand Independent Screen Producer of the Year. He has credits in well over a hundred documentaries, among them BBC’s Blue Planet Series, The Quest for the Giant Squid for Discovery, and acclaimed TVNZ series Country Calendar and Explorers. Peter shot and produced the TVNZ prime-time series Hunger for the Wild, Coasters and Get Fresh with Al Brown. He has won many awards for his skills and creativity both shooting and directing, but it's the opportunity to work with great teams and tell great stories that keeps him in the business. Peter Young is a director, cameraman and producer. Peter recently completed and released the feature documentary The Art of Recovery (2015), and before that The Last Ocean (2012). The Last Ocean spanned seven years and developed into a successful international campaign promoting the protection of the Ross Sea in Antarctica culminating in November 2016 when 24 nations and the European Union created the world's largest marine protected area in the Ross Sea. In 2012 Peter was named New Zealand Independent Screen Producer of the Year. He has credits in well over a hundred documentaries, among them BBC’s Blue Planet Series, The Quest for the Giant Squid for Discovery, and acclaimed TVNZ series Country Calendar and Explorers. Peter shot and produced the TVNZ prime-time series Hunger for the Wild, Coasters and Get Fresh with Al Brown. He has won many awards for his skills and creativity both shooting and directing, but it's the opportunity to work with great teams and tell great stories that keeps him in the business. Gizele Garcia is a professor and researcher at the Federal University of Rio de Janeiro (UFRJ). Gizele has been working to develop research in the field of reef systems in Brazil, mainly in Abrolhos and the Great Amazon Reef. In 2017 and 2018, Gizele's team spent 20 days aboard Greenpeace’s Esperanza ship when they discovered the thriving 700-mile-long warm water reef in the mouth of the Amazon. The mysterious reef is about to be a focus of oil exploration; an area that provides habitat for many rare species, including some not already known to science. Gizele Garcia is a professor and researcher at the Federal University of Rio de Janeiro (UFRJ). Gizele has been working to develop research in the field of reef systems in Brazil, mainly in Abrolhos and the Great Amazon Reef. In 2017 and 2018, Gizele's team spent 20 days aboard Greenpeace’s Esperanza ship when they discovered the thriving 700-mile-long warm water reef in the mouth of the Amazon. The mysterious reef is about to be a focus of oil exploration; an area that provides habitat for many rare species, including some not already known to science. Captain Philip G. Renaud, USN (Ret) is the Executive Director of the Khaled bin Sultan Living Oceans Foundation, an American public benefit organisation with a global mission. Throughout the past 14 years of his leadership, the Foundation has matured into a world-class scientific organisation dedicated to conservation of the marine environment, particularly coral reef ecosystems. He successfully implemented and completed the Foundation’s ambitious Global Reef Expedition program; a five-year circumnavigation of the globe with the objective of mapping and surveying coral reefs of the world to stem the decline in coral reef health. His career in oceanography began at the Naval Academy where he earned a Bachelor of Science Degree in Oceanography in 1979. During his distinguished 25-year career in the Navy, he served as the oceanographer of an aircraft carrier, the lead oceanographer for the Commander, Second Fleet, and his naval career culminated as the Commanding Officer of the Naval Oceanographic Office. Espen Øino is a designer & naval architect, and founder of Espen Øino International. For over twenty years Espen Øino International has been hard at work designing custom motor yachts for an international clientele from Japan in the East to Seattle in the West. With a multicultural and multi-disciplined team of 20 based in the yachting capital of Monaco, the studio has made a significant impact in the new-build market and is today considered one of the world’s leading design studios for large bespoke motor yachts. With a systematic and disciplined approach to problem solving combined with a thorough understanding of the engineering-related aspects of yacht design and naval architecture, the studio has produced designs for some of the most prestigious yachts such as: Octopus, Skat, the Silver series of high performance long range aluminium yachts, Serene, Solandge, Ocean Victory, Elysian (ex-Ester III), Kismet 1 & 2, Cloudbreak, Dilbar, Galactica Super Nova and Amadea to mention but a few. Espen Øino International has received numerous coveted awards within the industry and enjoys the continued trust and respect of the world’s leading yacht building yards. Many more projects and new builds are underway with new and exciting deliveries scheduled for the near future. 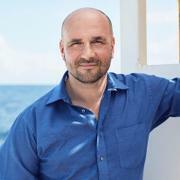 Espen Øino is a designer & naval architect, and founder of Espen Øino International. For over twenty years Espen Øino International has been hard at work designing custom motor yachts for an international clientele from Japan in the East to Seattle in the West. With a multicultural and multi-disciplined team of 20 based in the yachting capital of Monaco, the studio has made a significant impact in the new-build market and is today considered one of the world’s leading design studios for large bespoke motor yachts. With a systematic and disciplined approach to problem solving combined with a thorough understanding of the engineering-related aspects of yacht design and naval architecture, the studio has produced designs for some of the most prestigious yachts such as: Octopus, Skat, the Silver series of high performance long range aluminium yachts, Serene, Solandge, Ocean Victory, Elysian (ex-Ester III), Kismet 1 & 2, Cloudbreak, Dilbar, Galactica Super Nova and Amadea to mention but a few. Espen Øino International has received numerous coveted awards within the industry and enjoys the continued trust and respect of the world’s leading yacht building yards. Many more projects and new builds are underway with new and exciting deliveries scheduled for the near future. 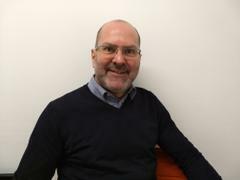 George Gill is the Director of Miller Compton Maritime Ltd, offering owners representation, consultancy and project management for the marine sector. Asked by Mr. Kjell Inge Røkke in May 2016 to develop the 183 metre research expedition vessel, REV, George became Project Director and started working on the project full-time in August 2016. The first steel cutting of REV commenced in February 2018 and REV is scheduled to be completed in 2020. REV is a unique vessel aiming to improve understanding and search for more sustainable and environmentally responsible solutions for the world's oceans. George has been a Chief Engineer in the superyacht industry since 1997. Originally starting at sixteen as a marine engineering apprentice on the River Thames England he moved into superyachts via four years in the flotilla sailing industry. Over the span of his superyacht career, he has served as Chief Engineer on some landmark yachts including, Lady M, Adix, Maltese Falcon, Alfa Nero and Aglaia whilst also having been part of the build teams as engineer for Talisman C, Maltese Falcon and Aglaia. George Gill is the Director of Miller Compton Maritime Ltd, offering owners representation, consultancy and project management for the marine sector. Asked by Mr. Kjell Inge Røkke in May 2016 to develop the 183 metre research expedition vessel, REV, George became Project Director and started working on the project full-time in August 2016. The first steel cutting of REV commenced in February 2018 and REV is scheduled to be completed in 2020. REV is a unique vessel aiming to improve understanding and search for more sustainable and environmentally responsible solutions for the world's oceans. George has been a Chief Engineer in the superyacht industry since 1997. Originally starting at sixteen as a marine engineering apprentice on the River Thames England he moved into superyachts via four years in the flotilla sailing industry. Over the span of his superyacht career, he has served as Chief Engineer on some landmark yachts including, Lady M, Adix, Maltese Falcon, Alfa Nero and Aglaia whilst also having been part of the build teams as engineer for Talisman C, Maltese Falcon and Aglaia. Vripack Creative Directors Bart M. Bouwhuis and Marnix J. Hoekstra share their passion for yachting and creating yachts that make each owner feel at home, at sea. From the moment it threw open its doors in 1961, Vripack studio’s approach to design has been governed by the playful interaction of form and function, intuition and intelligence, and balance and performance. The studio is yet to receive a yacht-related request it could not grant, nor a question it could not answer. The emphasis on placing the client’s needs and satisfaction at the heart of our designs is essentially the secret of Vripack’s success.The spirit of adventure embodied by the physical reality of our yachts comes into being at the very start of the process of creation. And it is very much a collaborative process between us and our clients, whose needs are aspirations we translate into yachts that appeal to the heart, mind and senses in equal measure, offer light-filled, elegant and comfortable spaces, and are ready to take to the sea in any direction. It is with genuine gratitude that we accept each commission, for each is an opportunity to play a role in somebody else’s dream of sailing the world and feeling at home at sea. Paul Crewe is the Executive Director and Chief Sustainability Officer at Anthesis Group. Paul previously worked at Sainsbury’s-Argos where he led Sustainability, Energy, Engineering, Environment and Facilities Management, and was instrumental in delivering some of the highest returning investments in Sainsbury’s 148-year-old history through key sustainability investments and technology programmes. Paul led the widely publicised deal between GE and Sainsbury’s. A ground-breaking arrangement that has seen Sainsbury’s —Argos commit to going 100% LED in their stores with alternative funding stream sitting outside of Sainsbury’s capital investment program. He also delivered Europe’s largest multi roof array of photovoltaic panels, the development of commercial scale deep bore ground source heat pump technologies, fast frequency demand response systems, sustainability behaviour change programs to drive out carbon, waste and water within own operations and the supplier base, and the championing of both operational and consumer waste programs. Sian Sutherland is a serial entrepreneur, founding and running varied businesses from restaurants to film production, design agency to skincare brands before launching ‘A Plastic Planet’ (APP) with her co-founder Frederikke Magnussen. Their first campaign to ‘turn off the plastic tap’ which was launched 12 months ago, urged supermarkets to give their customers the choice to buy food and drink in a Plastic Free Aisle. Over the last year APP have met with industry, legislators, material manufacturers and educators in their drive to reduce society’s addiction to single use plastic. In January 2018, Theresa May backed the campaign as part of the government’s 25 year environmental plan and in February 2018, APP launched their first Plastic Free Aisle in Amsterdam to worldwide media attention. Lilly Barclay is Co-Founder of A Plastic Planet (APP) and Ocean Family Foundation (OFF). Lilly left Denmark at an early age to pursue a career in fashion, living in Paris, Australia and New York. She studied Psychology at NYU and Birkbeck, exploring her passion for helping others, setting up ‘Being Human’ wilderness retreats to reconnect stressed people with nature, alongside Sille Lundqvist. During the mid-2000s Lilly became aware of the growing problem of plastic pollution in our ocean. Over a seven-year period she co-developed an animation film to entertain and educate children on this issue – ‘The Big Soak’. Whilst this project has not yet reached completion, it was the catalyst for the eight-year production of the first documentary feature on ocean pollution – A Plastic Ocean. 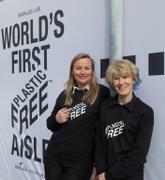 After 2 years working together on the film launch, Lilly joined forces with Sian Sutherland to create the first APP campaign that asked supermarkets to give their customers choice by providing Plastic Free Aisles. After 12 months of extensive pressure on the food and drink industry, support from Theresa May as part of her 2025 Environmental Plan and considerable media coverage, the world’s first Plastic Free Aisle was launched; a symbol of possible change for the world. APP are now working on the campaign evolution with the first consumer Plastic Free trust mark and One Plastic Free Day on 5th June. Privately, Lilly and her husband have set up Ocean Family Foundation(OFF) with 2 other families who are passionate about conservation and education to protect the oceans the families share and love. Lilly Barclay is Co-Founder of A Plastic Planet (APP) and Ocean Family Foundation (OFF). Lilly left Denmark at an early age to pursue a career in fashion, living in Paris, Australia and New York. She studied Psychology at NYU and Birkbeck, exploring her passion for helping others, setting up ‘Being Human’ wilderness retreats to reconnect stressed people with nature, alongside Sille Lundqvist. During the mid-2000s Lilly became aware of the growing problem of plastic pollution in our ocean. Over a seven-year period she co-developed an animation film to entertain and educate children on this issue – ‘The Big Soak’. Whilst this project has not yet reached completion, it was the catalyst for the eight-year production of the first documentary feature on ocean pollution – A Plastic Ocean. After 2 years working together on the film launch, Lilly joined forces with Sian Sutherland to create the first APP campaign that asked supermarkets to give their customers choice by providing Plastic Free Aisles. After 12 months of extensive pressure on the food and drink industry, support from Theresa May as part of her 2025 Environmental Plan and considerable media coverage, the world’s first Plastic Free Aisle was launched; a symbol of possible change for the world. APP are now working on the campaign evolution with the first consumer Plastic Free trust mark and One Plastic Free Day on 5th June. Privately, Lilly and her husband have set up Ocean Family Foundation(OFF) with 2 other families who are passionate about conservation and education to protect the oceans the families share and love. 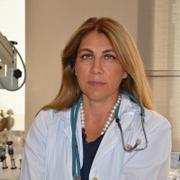 Dr Luiza Mirpuri is Co-Founder of the Mirpuri Foundation. At the Mirpuri Foundation, Luiza is responsible for promoting scientific research on plastics and its effects on human health. Her great passion is to bring healing to people suffering from environmental contamination, raising awareness and finding healthy perceptions of our chemical lives. Dr. Luiza graduated from Portuguese Medical School in 1994. She specialized in Otorhinolaryngology and Cervical Head & Neck Cancer. Having trained as a General Practitioner, Luiza has been practicing for many years in the Portuguese National Health system, Emergency Medicine & Critical Care Medicine, and Air-ambulance. Dr. Luiza is board-certified in Aeronautical Medicine and she is the Head of Medical Department of Hi Fly. Luiza is an instructor of First-Aid and Human Factors for Flight Crew in the aviation field and also has expertise in chemicals and human health. 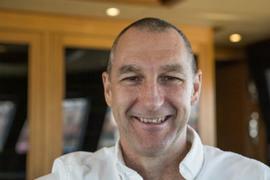 AJ Sutherland is the Chief Officer of S/Y Black Pearl. AJ was born in Malawi and attended boarding school at Kingswood School in Bath, UK. He had an amazing upbringing with the benefit of a British education and African holidays! AJ has always been fascinated with wildlife and nature. Lake Malawi was his first introduction to our liquid planet and what it has to offer. Following the nature and travelling theme he attended London university to do a Zoology degree and then joined the RAF for 5 years. For the last 21 years AJ has been on or in the ocean in some capacity or other – starting work as a dive instructor in Western Australia and throughout the Pacific region with over 3000 dives completed and more recently as a mariner on various yachts around the world. He joined the Black Pearl team in January 2017.